As part of our series of blogs on predictions for our changing times, we are re-publishing an article by Bhagawati from Osho News. She writes about the the Cathar Prophecy made in 1244. 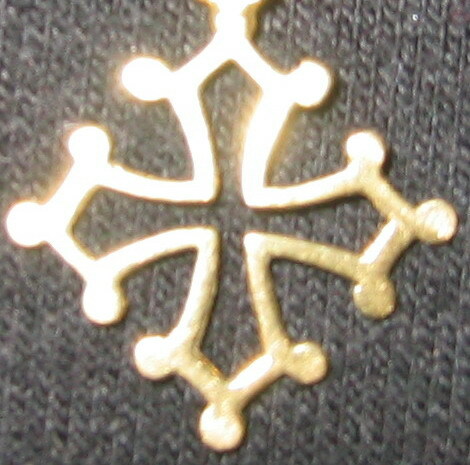 “Much has been written and speculated about the Cathars who settled in the Languedoc region in France during the eleventh century; there is no clear evidence where they came from but clues in their belief and practice point to extremely early Christian origins, and in all likelihood they spread from the Byzantine Empire to Bulgaria, and on to the Balkans and Northern Italy. Although they called themselves Christians, the Catholic Church called them Albigenses, or Cathars. The Languedoc was famous for its high culture and the Cathar religion gained more and more supporters and devotees during the twelfth century, and by the early thirteenth century Catharism was probably the majority religion in the area, supported by the nobility as well as the common people. This was of course an anathema to the Catholic Church, as also the fact that many of their own priests defected. The Cathars presented the largest doctrinal challenge faced by the Catholic Church in the twelfth century. The Cathars maintained a church hierarchy yet rejected any idea of priesthood or the use of church buildings. They believed in reincarnation and refused to eat meat or other animal products; they regarded men and women as equals and had no doctrinal objection to contraception, euthanasia or suicide. It follows that the Catholic Church condemned them as heretics. Following that logic, the infamous Inquisition proceeded to massacre them in their usual zealousness, wiping out every single one of them; the Cathar’s last stronghold was the fortress of Montségur which was entirely pulled down by the victorious royal forces after its capture in 1244. It has no membership – save those who know they belong. It has no rivals – because it is non-competitive. It has no ambition, because it only seeks to serve. It knows of no boundaries for nationalisms are unloving. Those who participate, practise the Truth of Love in all their daily being. Those who are, know. It seeks not to teach but to be, and by being, enrich. It recognises that the way we are may be the way of those around us because we are that way. It recognises the whole planet as a Being, of which we are a part. It salutes all those in the past who have blazoned the path but paid the price. Its members shall know each other by their deeds and being and their eyes and by no other outward sign, save the fraternal embrace. Each one will dedicate his or her life to the silent loving of their neighbour and environment and the planet, whilst carrying out their daily task, however exalted or humble. It has no rewards to offer, either here or in the hereafter, save that of the ineffable joy of being and loving. Its members shall seek only to advance the cause of understanding, within whichever church, group or family they happen to be. They shall do good by stealth and teach only by example. They shall know no fear, and feel no shame and their witness shall prevail over all odds. It has no secrets, no arcanum, no initiations save that of the true understanding of the power of love and that, if we want it to be so, the world will change but only if we change ourselves first. Many churches, groups and sects are impositions by the few on the many, preying on weakness. The Church of Love is the reverse, it liberates and promotes individual strength. Such vestigial structure as it eventually may have, must come from those who know they are a part of it. I understand every word of the prophecy because it is who I am! I want to know more about the Cathars. The words resonate from deep within me. Are we not seeing and experiencing this prophecy in our lives at this time.